A few days ago a friend of mine who also teaches in Italy asked me whether I could help her look for materials she could share with the foreign language teachers at the school. They wanted to remix the materials and turn them into Content and Language Integrated Learning (CLIL) resources. TEDyouth Videos from the TEDyouth conferences could certainly be used with secondary school pupils. TEDx The advent of TEDx — independently organised TED-like events in the whole world — has also extended the languages of the talks beyond English. This is good news for teachers of other languages. TED-Ed A different but related source of materials that we looked at are the lessons included in the TED-Ed website. These are OER which are designed to teach a variety of subjects. Most are more suitable to secondary than tertiary education and, although they are not designed to teach English as a foreign language, they could easily be transformed into resources for CLIL). 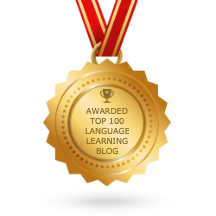 In any case, the exceptional opportunity provided within the website – “flipping” the lesson, in other words, adapting it to a different context – makes such adaptations to the foreign language classroom particularly easy to share. A key element in this is, of course, the Creative Commons Licence of the resources. Not only is this an intriguing math story, and a stimulating way to introduce the concept of exponential growth, but in terms of language teaching, it offers authentic examples of conditional sentences. The fact that the author, Adrian Paenza, is not a native English speaker makes this lesson particularly appropriate. My friend and I welcome your help in recommending other open educational resources which are appropriate for CLIL, especially in languages other than English. Thanks!